Zero is an easy one as it expresses the concept of “Nothing” in mathematical language. Zip is a little more difficult to determine why it means “Nothing.” Zip can mean fasten a zipper…which is named for the sound it makes when closing it. Zip can mean fast, which also implies a zipping sound as the fast creature dashes past. Zip can also mean Zest (another Z word), zipping up your world. The origin of “zip” meaning “zero” is unknown, but probably first used around 1900. How it came to represent such a different thing from the definitions above is a mystery. 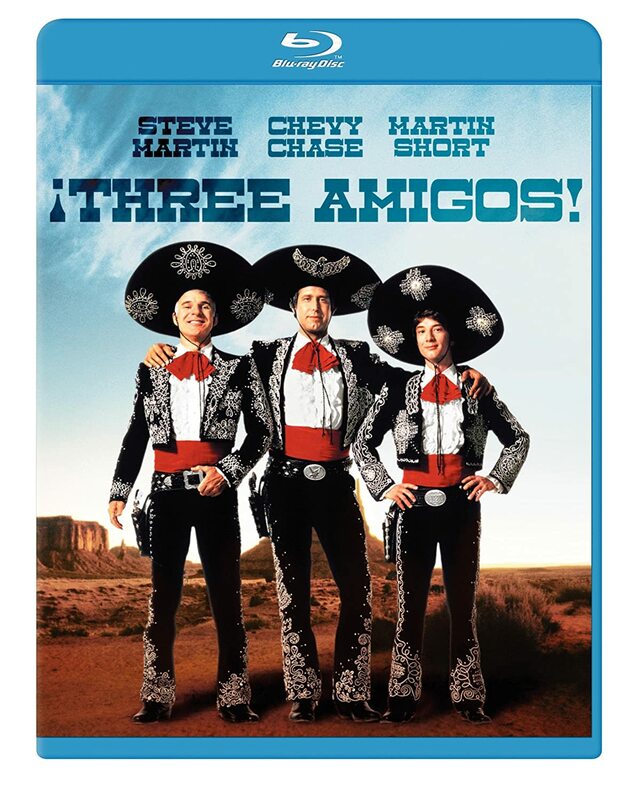 As an aside, if you’ve never seen “The Three Amigos,” do yourself a favor and watch it. It’ll keep you laughing out loud for the entire movie. One of my top ten favorites! Okay, back to Z. The words Zip and Zero are all well and good, but there’s a more colorful synonym for “Nothing”: Zilch. I love the sound of that word. It sounds like something Tim Curry would say. So the next time you find yourself tempted to use one of those Z words, don’t go for the boring ones. 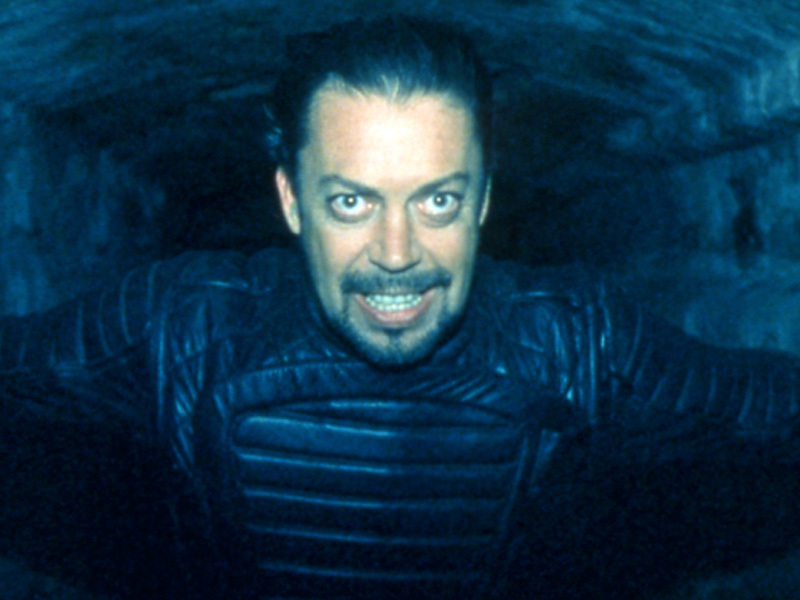 Use Zilch, say it like Tim Curry, and amaze your friends! Finding a “Y” word was simple. 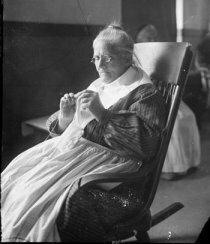 I love to knit, and crochet, so what else could Y be but Yarn? If you read my entry for “Q,” you’ll already have some idea of the wild things yarn can be made from. Different fibers have different qualities: soft, scratchy, smooth, fuzzy, brightly dyed, natural color, thick, thin, bumpy, warm, cool, hand wash only, machine wash. Those are off the top of my head; I’m sure there are more. In order to choose the proper yarn, you need to choose your project first. You can make almost anything, including sweaters, hats, scarves, gloves, baby clothes, stuffed animals, shawls, mittens, socks, cowls, fingerless mitts, iPod or Kindle covers, afghans. If you can imagine it, you can knit it! Well, almost anything. Anyone remember Lurch, from the Addams Family? He loved to play the harpsichord. On one episode, the harpsichord was taken away for some reason. 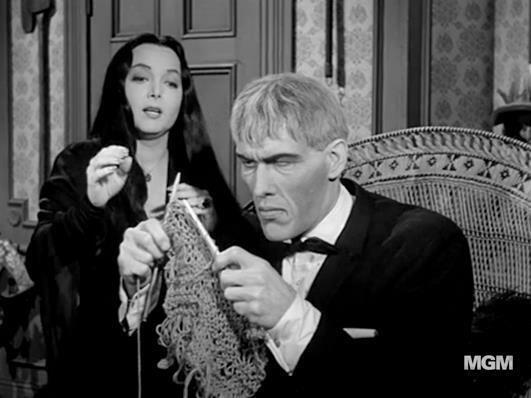 Morticia tried to distract him by teaching him how to knit. She said, “Lurch what would you like to knit first?” Lurch said, “A harpsichord.” No, I don’t think you could knit THAT. If you’re lucky enough to be a knitter, you know how seductive a new skein of yarn, new needles, or a new pattern can be. Here are a few of my finished projects. For anyone who does knit or crochet, if you haven’t already, go to www.ravelry.com and sign up. You’ll have access to patterns, forums, designers, yarns, books…it’s knitting nirvana. Look me up as delisi . See you there! There aren’t many words that start with X. Lots of words SOUND like they start with X, but really, they start with EX. Nevertheless, I’m determined to find an X word! 1. the pentosan occurring in woody tissue that hydrolyzes to xylose: used as a source of furfural. So my first consideration is that the X word start with X, not EX, and the second consideration is that the word be understandable by the average person. 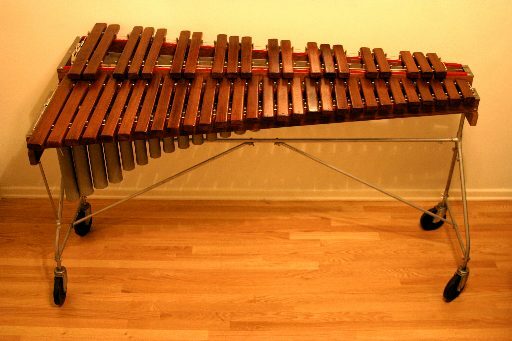 The third consideration was to avoid the most common X words, like xylophone. Finally, I came across something that fit my “rules,” that made me pause and then do a Google search. The new X word had the biggest cuteness factor of any X word, and the only one I’d want to see in person! 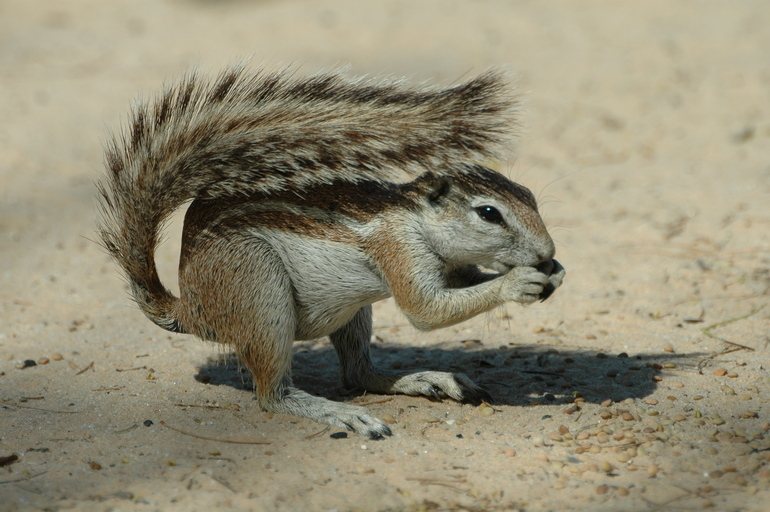 An African ground squirrel of the genus Xerus, having spiny fur, very short ears, and a long tail, and including the species X. rutilus of northeastern Africa and X. erythropus of western and central Africa. Sooooo cute! So that’s my new X word, Xerus. You all can go with Xylan if you want; just don’t expect me to explain the definition to you. Many people imagine the life of a writer is glamorous, well paid, and easy. Reality is pretty far from these ideas. Glamorous? Well, maybe if I sat down to the computer every morning wearing a ball gown. Or if people mobbed me when I went out, clamoring for my autograph. But I don’t see that happening any time soon. I will say, though, that one of the bank clerks knows me by name when I walk in. Hey, that’s something, right? As to being well paid…perhaps if I were Stephen King. But for me, an average royalty check is between $3-7. Might buy me a cup of coffee at Dunkin’ Donuts. Maybe a donut, too! Hah. What I want to know is, why does the bank clerk know my name? Are they all laughing at my teeny checks when I’m not listening? As for being easy: show of hands here. When you were in high school and your teacher said, “I want you to write a paper,” how many of you jumped up and down in excitement? Hands? Anyone? That’s what I thought. Writing is hard work. First, you have to have a topic (for non-fiction) or a plot line (for fiction). You need to do research and figure out how you want things to progress. Next, you sit down with your idea and start writing. In addition to using your creativity until your brain starts smoking, you also need to have excellent spelling and grammar skills. It used to be a publisher would shepherd a writer along, fixing mistakes and problems. Now, there are a million would-be writers for every editor. (Do you like my 100% accurate figures?) So your manuscript has to be as perfect as possible BEFORE you turn it in. Once you’re done with a first draft, you go through it word by word and fix what you did wrong, close holes in the plot, make sure there is continuity (like, is your hero called Dave in chapter one and Dan in chapter two?) When you think it’s perfect, you go through it again. Or, if you’re lucky enough to have a first reader or critique partner, you redo it based on the suggestions of your writing buddy. Next comes researching the markets, finding out which publishers would be a good fit for your manuscript. Once you’ve chosen the most appropriate ones, you find out their submission requirements and submit your manuscript. Then you wait. And wait. And wait. Fortunately, in this electronic age, you don’t wait as long as with the snail mail era. But every day seems like an eternity. If you’re accepted, you go through more editing, cover art, checking the proof, then getting the final book in your hot little hands. I confess, THIS part is really fun! Then comes marketing. I’m not a social animal…most writers aren’t. So marketing can be agonizing, but it must be done. I actually did several book signings, and while they are stressful, it’s also interesting to see who wants to read what you write. And then, before you know it, it’s time to start all over again with the next book. When you see a floral arrangement, what do you see? What catches your attention? No doubt it’s the color of the flowers, the size of the flowers, the scent of the flowers. And how many times have you heard someone say “lips like a rose” or “as simple as a daisy” or “heavenly scent of a gardenia”? But nothing about the vase. Let’s think about it, though. How would you create that lovely display, if not with the vase? How long would the flowers last without the water-filled vase? How would the flowers manage to stand upright and beautiful without the vase? Like a loving parent, the vase cradles the flowers, holding them up, nourishing them, allowing them to enjoy every last minute of their beauty. The vase exists without the flowers, but the flowers don’t last long without the vase. Why then would you be the flower? When you hear someone say “Uh-oh,” you look around to see what went wrong. Because “Uh-oh” is a kind of admission of guilt, that the speaker did something wrong and everyone else is about to find out about it. or the ever popular, Crap. So what does this have to do with me today? Oops, I’ve mislaid my notebook and I really need it. Where could it be? Oh my gosh, I’ve looked everywhere and I can’t find it. Did someone break in and steal it? Geez, after a wasted half hour, here it is right next to my computer, where I’d have to be blind to not see it. Crap, my brain is on vacation and went without leaving a forwarding address! 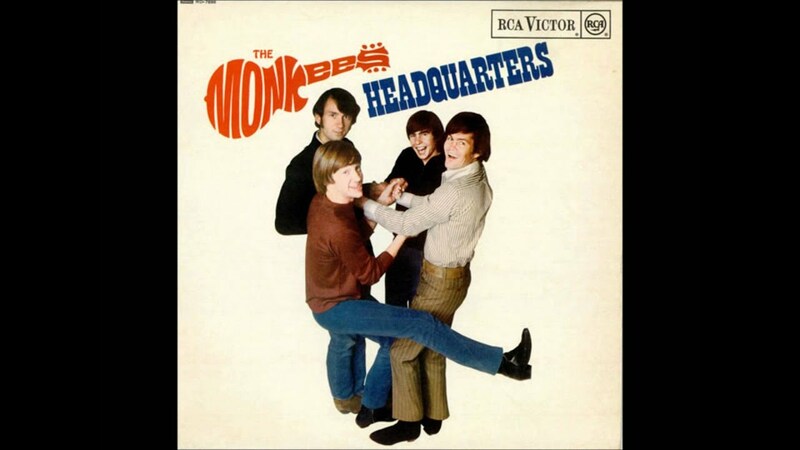 I’m on a busy schedule today, so I thought I’d post something from the Wayback Machine for Throwback Thursday. Here’s a blog post I wrote back in May of 2013, about how I became a writer. Enjoy! So by the time I was in first grade, I was already primed. One day, a little girl in my class decided to write a story instead of doing her spelling assignment. The teacher praised her effort and read her story to the class. Intrigued, I raised my hand and said I wanted to write a story instead of doing my spelling, too. Unfortunately, my teacher said, “No.” Undeterred, I wrote a story anyway; but I also did my spelling assignment. Fast-forward to middle school. With a burgeoning interest in boys, I decided to write a book about a girl and her boyfriend. Wish fulfillment, I guess. I actually wrote forty or fifty pages before giving up. I don’t know what happened to my first attempt at a novel; perhaps lost in a move. I’m sure it was tedious, but it would be nice to have it! In high school, when one of my teachers would say, “I’d like you to write a paper,” everyone groaned. Everyone except me, that is. I was delighted, as I knew not only was writing fun, but also I knew I’d get a good grade. A win-win situation! One of my high school English teachers praised my writing and urged me to consider it as a career. Up till then, I’d enjoyed writing and known I was good at it, but hadn’t considered it as a potential job. She put that thought in my head, and it’s never left. College brought a lot more writing. In particular, I remember enjoying very much two papers I wrote: one about the Egyptian pharaoh Akhenaten, and the other about the American religious group, the Shakers. I even made a “Shaker Pie” from an original Shaker recipe to go with that paper. Who says writing isn’t fun? In my twenties, I focused mainly on writing short stories. I was working full-time and married, and didn’t have much time to write. I figured it was better to write something I could finish in one or two sessions, rather than a story that would take ages to complete. That’s also when I started submitting for publication, garnering an impressive number of polite rejection letters. On or about age thirty, I decided to try writing a romance novel. I started out thinking it would be easy, but boy, was I wrong. It took a lot of effort, planning, writing and rewriting. Oh, and there was no computer back then…I was writing on a typewriter, so rewriting usually meant retyping, at a minimum, all the pages to the end of the chapter. No “delete” button! From there, my story becomes more mundane…read, read, read. Write, write, write. Submit, submit, submit. Until one day, oh joy of joys…an acceptance letter! (Well, in a sign of the times, it was an acceptance e-mail.) And the rest, as they say, is history. Writing will never make me rich, but it’s been a wonderful part of my life since childhood, and I’d never want to give it up. It gives me great joy to do, and even more, hearing from readers that they liked my stories. And that’s what counts, right? …All the windows in the motel were dark except for the room right across from hers. Shadows played on the curtain; one large, one small. Marie wondered if they, too, were having trouble sleeping. The light went out in the room across the way. Disappointed, Marie was about to let the curtains fall back into place when the door to the room opened. A man emerged, carrying a small child in his arms. The child appeared to be struggling, but he held her in a firm grip. The man walked to a dark car and opened the passenger door. He turned to shove the youngster inside and as he did, Marie caught a glimpse of the little girl’s face, revealed by the pale moonlight. Her mouth dropped open in shock. It was Rebecca! Marie’s mind stumbled, trying to make sense of what her eyes were telling her. Could it really be Rebecca? It had been five long days since the kidnapping, and she’d imagined the child’s face before. Was this just another bad dream? Pinching her cheek, she stared at the car. It was hard to tell in the watery moonlight, but it appeared to be a dark-colored Mustang. The man strode around to the driver’s side. He opened the door and Marie was galvanized into action. She couldn’t let him get away again! She had to stop him, and do it right this time. Not bothering to grab her robe, she unbolted the door and jerked it open. Tripping over the well-worn welcome mat, she staggered toward the car. Here’s hoping you enjoy it! Raining cats and dogs is what it was doing yesterday, and all night long. The rain made me think of the expression, which made me wonder where the phrase came from originally. After doing a little research, I find no one know for sure; but the best guess is in 17th century England, if the rain were heavy enough, it would flow down the filthy streets, carrying along dead animals. Eeuwww. Beat Around the Bush: This most probably evolved from hunts where there were men specifically employed to beat the bushes with a stick, thus flushing out the birds for others to shoot. Thus the bush-beaters never get to the actual point of the hunt: killing the birds. Under the Weather: This one is tougher. But it might come from travel by ship, when stormy weather made passengers seasick. They would head below decks where the rocking sensation wasn’t as strong. Thus, they were forced under (the deck by) the weather. Off Your Rocker: This seems to have come from the days of electric trolleys, and the difficulty the motorman would have getting the contact wheel reconnected with the overhead wire when it had come disconnected, since once it was disconnected, it would no longer function. Take It With a Grain of Salt: It’s possible this phrase goes all the way back to Pliny the Elder, who recommended taking a grain of salt as an antidote for poison. What other expressions or idioms can you think of, and how did they originate? A fun avenue of research when you need a pleasant break. How many of you know what Qiviug (singular) or Qiviut (plural) is? Show of hands. Without looking it up on the Internet, mind you! If you’d asked me before we moved to New Hampshire, I would have had no clue. And if were asked that question and I were not a knitter, I wouldn’t know, either. But because I am a New Hampshire knitter, I know that Qiviut refers to wool gathered from the soft inner layer of the muskox’s coat. Qiviut is soft and warm, and unlike wool, it doesn’t shrink in water. However, yarn made with qiviut is awfully expensive. Why? I’m not sure, but I’d say because would YOU want to look at the fellow above and say, “Just hold still now, I’m going to comb out your fur”? What do I mean by expensive? Let’s say $110 for a 218-yard skein of 100% Qiviut yarn. Since the price for a similar length of, let’s say 100% alpaca (my favorite knitting fiber) would run about $25, you can see it’s more than eight times the price. Thus, qiviut is often mixed with other fibers to bring down the cost (and of course to achieve different effects when knitting). For instance, yarn with a 50% qiviut and 50% merino wool content per 218-yard skein runs about $85; whereas yarn with an 80% merino, 15% qiviut,and 5% silk content goes for $40 per 218-yard skein..
I’ve never knitted with qiviut yarn. I just can’t bring myself to spend so much on yarn when I know good and well I’ll never wear what I make with it, for fear of damaging such an expensive item! But if any of you have tried it, I’d love to know what you think. The world seems to be going to hell in a hand-basket. Shootings, explosions, vitriolic political sniping, domestic violence. What the heck is going on? When I was a child, one of the things my parents drummed into me is “Be polite.” I’ll never forget how I learned to watch my tongue before rudeness erupted from it. I was five years old. My dad worked for the Boy Scouts, so we had to spend a chunk of the summer in Boy Scout Camp. You can imagine how exciting that was for a five year old girl! Not to mention for my mom, who had to try to keep me occupied. While my mother stared at me in horror, the woman said, “Maybe I should,” and she packed him up and left. Boy, did I get scolded! But the worst part was, my mother told me I had to go over to the woman’s cabin and apologize for being rude. Naturally, I wandered out to play and in short order, managed to forget I was supposed to apologize. I’m sure I went white. I mumbled, “No, I didn’t.” She wouldn’t make me go in the dark, would she? “You’ll have to go now, then,” she said firmly, in that voice that meant there would be no argument allowed. She and her husband were amazingly nice, bringing me into their cabin for a cup of cocoa and assuring me all was fine. It was quite an ordeal, but I survived it. BUT you better believe I learned my lesson and never, ever was that rude again. So what does this have to do with the sorry state of the world? I’m convinced if everyone used their best manners, was polite when dealing with friends and strangers alike, the world would be a much nicer, friendlier, safer place. So everyone, please dust off those manners and let’s make the world the way it ought to be: beautiful. Also, we had no cable TV, so you either watched a show when it was on, on one of the few available channels you could get with the antenna on your roof, or you missed that show. So when something you liked came on, it was vitally important to be there in person, at the right time. There were some special shows or movies that would play at certain times of year: Christmas movies, Easter cartoons, etc. My most-waited-for by far was the yearly showing of the 1939 movie “The Wizard of Oz.” My favorite movie as a kid, and my favorite still. The movie is a classic, even though it diverges quite a bit from the original book. How could it miss being a classic with Judy Garland singing “Somewhere Over the Rainbow”? But one day when I was about twelve, I decided to read the real book: “The Wonderful Wizard of Oz” by L. Frank Baum. published in 1900. 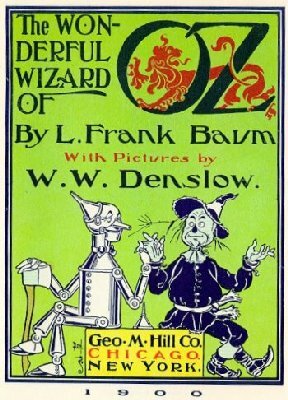 It was successful enough that Baum wrote an additional thirteen books set in Oz. I absolutely loved it, wondering why in my entire (short) life I’d never found that amazing book before. There are many things in the book that don’t appear in the movie. This is often true when books are adapted for the screen. I found it interesting that one such missing element, the people made out of china, was portrayed in the recent movie “Oz the Great and Powerful” with James Franco. And some things are different. For instance, did you know the ruby slippers in the movie are silver slippers in the book? I could go on with history of the book and of the movie, but you can look it up for yourself. That’s what the Internet is for. ;-) But one last thought I’d like to leave you with. Usually when I watch a movie adapted from a book, I prefer whichever one I saw first, most often the book. But for some reason, with “The Wizard of Oz”I love them both, as if they were separate stories entirely. And that’s about as close to magic as it gets! The most obvious definition of “nuts” is that food item we like in our brownies and granola. Not to mention peanut brittle. You know, one of the super foods science is now promoting. There are all too many crazy days when I wonder if I’ll get through. You know the kind, where you feel like the proverbial camel who can’t handle one more straw. Somehow I survive, but I’m usually not quite sure how. A gallon of coffee? Tunnel vision? Music played at a level only dogs can hear? Maybe I’m just a little off-center myself, which would explain how I can deal with those nutty days. Cassie opened her compact and peered into the round mirror. Her nose looked a little shiny. As she reached for the powder puff, a movement in the mirror caught her eye. She saw the waiter bringing a drink to the woman at the table in back of her. Served in a pineapple, it had two gaudy red paper parasols and a large pink straw sticking out of the top. Cassie watched, amused, the puff arrested in its journey to her nose. Suddenly, the waiter tripped. The pineapple slid down the length of the steeply-tilting tray to land, upside-down, in the woman’s lap. “I saw it in my mirror.” Cassie held up her compact. “I found it last week in an antique store on the Cape,” Cassie said. “It was a funny little shop, full of all sorts of peculiar things. I liked the compact so much that I went back the next day to look for another one; but I couldn’t find the place again.” She shrugged. Laura rubbed her fingers over the engraved gold case, then opened it. “Here’s your problem. This old mirror is so cloudy, it’s no wonder you’re seeing things.” She snapped it shut and handed it back. “Here comes our lunch.” Laura pointed to a waiter carrying a full tray. Diverted, Cassie forgot all about what she’d seen in the mirror. An hour later, the two friends finished their meal. On her way out, absorbed in paying the check, Cassie didn’t notice a waiter spilling an entire pineapple full of liquor on a woman who had just been seated. Hope you enjoy my stories! ...Hattie banged on the door. "Is anyone there? Let me out!" She shouted and beat on the door with her palms, but all was ominously silent. If someone had been watching her, they had no intention of helping her out of her dilemma. At last, resigned to her fate, she returned to her sketchpad. "If I'm going to be stuck in here, I might as well finish my work," she murmured. "Tom's bound to come back—I'm sure he will." Her voice echoed unconvincingly in the dusty, claustrophobic room. The words were so faint, Hattie wasn't sure she'd actually heard them. "Who's there?" she asked, though she didn't expect to get a response. The room was too small to hide anyone. Hattie spun around, searching for the source of the barely audible words. "Tom, is that you? If it's you, I don't think this is funny! Open the door right now." She thumped it with her fist for emphasis. "Come to me," the ghostly voice whispered, stronger now. "Come to me. I have need of you." K is for Keep Away! Yeah, it’s been a rough morning. Not really rain, mind you. It’s actually sunny and 65 degrees outside, and after the brutal winter we had, I’m not complaining about that at all. But things did not get off to an auspicious start. Here’s how my day began. I was woken up by something about 4:30 a.m. I lay in bed and listened, and after a while, heard it again. It was a scuffling, gnawing, creepy-whispery sound. Well, here in New Hampshire, virtually every house has mice, and if you don’t, you will soon! Mostly we coexist in peace, as long as they stay in the walls or under the house, but not out in my rooms. Or, heaven forbid, in the food! So when I heard that sound, I figured it was just a mouse. I rolled over and tried to go back to sleep. After he left, it was quiet for…fifteen minutes. Then started again. To me, it sounded like it was in the wastebasket, not in the wall. Finally, I put on the lamp again, brought the wastebasket into the light and started going through it. It was 5 a.m. by then. I had just dropped off to sleep when my cell phone started chiming. There’s something wrong with the phone or the cord or the battery (or my karma) as it won’t recharge, no matter what I do. I’ve tried a new battery, a new cord, the USB port on my computer or the AC outlet, to no avail. Tech support delighted in telling me that if only my phone were still under warranty, they could send me a new charger; but since it’s not, and since getting it repaired would probably cost more than the phone was worth, I should probably get a new phone. <eye roll> Thanks, I’d never have thought of that. In a last ditch effort to fix it, I’m going to see if the car charger works. You never know. And if it DOES work, I’m going to celebrate with a big, fat…NAP! Jack is a pretty common name, it seems. Here are a few childhood-related Jacks. Jack be nimble; Jack Sprat; Jack and Jill; Little Jack Horner; Jack in the Box. So, back to Jack. He talks a blue streak, whistles all kinds of whistles, and is trying to figure out how to whistle a short melody. He seems to have trouble with pitch…he can understand “how many notes” and the direction in which they go, but pitch is still iffy. He loves having people talk to him, and his favorite position to be in while listening is hanging from the side of the cage, upside-down. Don’t ask me why…maybe we look better upside-down? Although he says his own name and seems to understand it means him, he likes to add things to it. Thus we have Monsieur Jack, Good Boy Jack, My Jack, and presumably when he gets tired of all the names, he will say “Just Jack.” One of my favorites is Super Jack. I confess, I may have talked him into that one as when I call him that, I tend to sing the theme song from the old Hercules cartoon show when I was a kid (dating myself now). It goes, “Hercules, hero of song and story; Hercules, winner of ancient glory…” only in my version, “Hercules” becomes “Super Jack.” He seems to like having his own theme song. He seems to know where the doors to the outside are, and he squawks a blue streak if he hears us going out. He likes company, doesn’t like to be left alone. He loves toys that make noise, or toys he can rip apart. And when he’s asleep with his head tucked under his wing, he’s just the sweetest thing! So, since he gives me so much pleasure, I figured Jack deserved a post of his own. Here’s to you, Jack! Sherlock Holmes, the vastly intelligent “consulting detective” character created by Sir Arthur Conan Doyle, has been popular in print, on stage, on radio, in films and on television ever since his first appearance in print in 1887. With his friend and sidekick, Dr. Watson, at his side, Sherlock can solve any mystery with his amazing ability to notice the tiniest detail and interpret it properly. 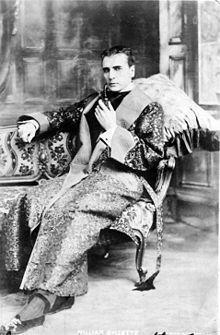 One of the early portrayers of Sherlock Holmes on stage was William Gillette. Gillette was a popular stage actor in the late 19th and early 20th centuries. 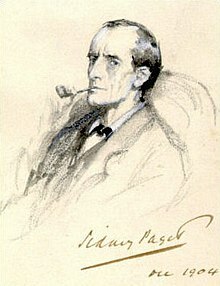 He wrote a play based on Doyle’s character, “Sherlock Holmes, or the Strange Case of Miss Faulkner,” in 1899, and it formed the basis of a silent film he wrote in 1916, “Sherlock Holmes.” While keeping in touch with Doyle as he wrote the play, Gillette asked Doyle, “May I marry Holmes?” Doyle was tired of Holmes by this time, after writing four novels and fifty-six short stories about him, so he replied, "You may marry him, or murder or do what you like with him." Gillette is credited with creating some of the things usually associated with Holmes, such as his curved briar pipe and deerstalker cap, and gave Holmes the phrase, “Oh, this is elementary, my dear fellow,” which eventually was changed to “Elementary, my dear Watson.” When Gillette was finally able to meet Doyle, he stepped off the train and strode straight to Doyle not dressed as himself, but as Sherlock Holmes. Naturally, this delighted Doyle and they became lifelong friends. 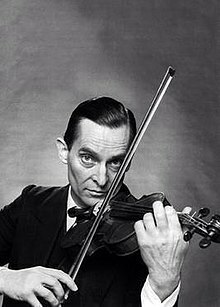 Jeremy Brett, who played Holmes on PBS. Oh my gosh, no one can beat him for a spot-on portrayal of the famous fictional character. I have no doubt that were he still alive, Brett would still be delighting audiences with his unique Sherlock Holmes. If you ask most people, “What’s your favorite animal?” they’ll say “dog” or “cat.” If you specify, “What wild animal is your favorite?” they’re likely to say, “lion” or “tiger” or “bear.” These animals are beautiful, majestic, and commonly seen in all types of media. “Lions and tigers and bears, oh my!” as Dorothy would say. One of my most treasured memories is when we visited the giraffes at the Garden City (Kansas) Zoo. A female giraffe came over to the fence, reached her long neck over and lowered her head just a smidgen. She allowed me to touch her nose…it felt like warm velvet. Then she strode away, but she left me with an encounter I’ll always remember. Now I see now they have “Giraffe Encounters” at the zoo: http://leerichardsonzoo.org/2013-05-16-GiraffeEncounter.php Oh my! I would so love to visit there now. Do you have any wildlife encounters to share? 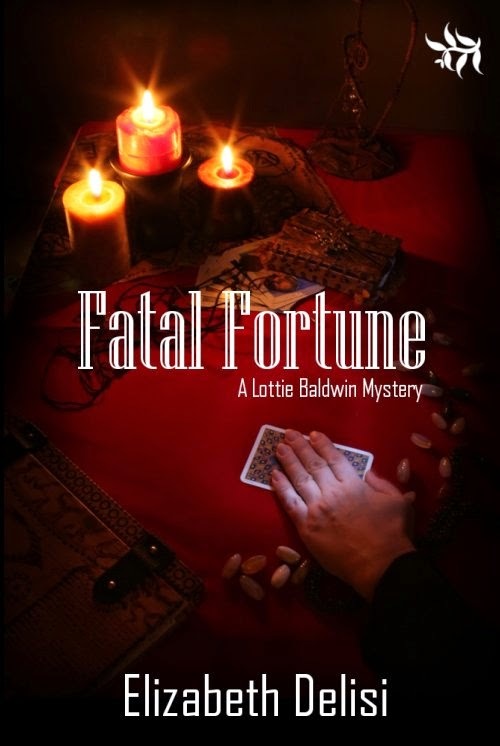 I can’t resist posting a bit about one of my books today, since today is the letter F.
FATAL FORTUNE is the first book I had published (though not the first I wrote). Blurb: No one in Cheyenne, North Dakota believes in Lottie Baldwin’s psychic abilities; especially not Harlan Erikson, Lottie’s boyfriend and Chief Deputy in the Sheriff’s Office. Harry squared his shoulders. He’d do what he’d set out to do. He would stop the thing before anyone got hurt. He turned away and started back toward his own car. The night air was crisp in his nostrils; a light snow was beginning to fall. Though disappointed at the outcome, he felt shaky with relief that the ordeal was over. He heard a sudden, furtive noise behind him. Harry jumped, started to turn. Before he could see the source of the sound, face his foe, he felt a crushing blow on the back of his head. A million hot sparks exploded behind his eyes as he sank down toward the frozen ground. For a moment, Harry lay motionless. The quiet night air was full of unwonted sound: heavy footsteps; muffled rustling; the jingle of keys. The car door slammed and tires spun. Above it all, he heard his once pounding heartbeat slowing as his body relaxed. The last thing he saw was the car’s red tail lights fading into the distance. And then eternal blackness overcame him. Hope you enjoy reading about Lottie! Her next adventure is coming soon. Something thing a writer needs a lot of, on his or her way to successful publication, is education. Luckily for writers and potential writers, education is available in lots of different places and formats. 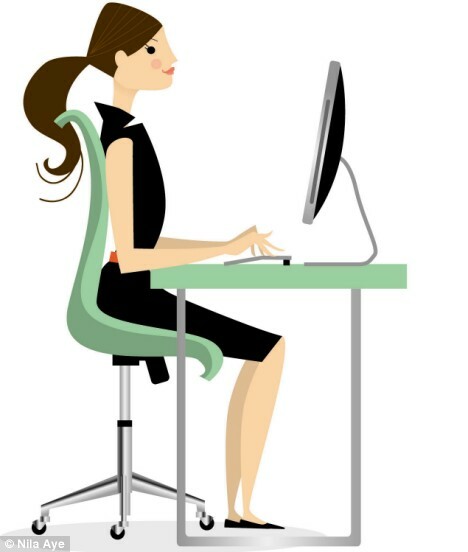 One of the most popular ways to get educated about the type of writing you want to do is to take an online class. Many classes are out there, ranging from free to moderate to expensive, and from amateur-run courses to professionally produced and conducted. What about getting a degree in writing, not just taking a course? A Google search for creative writing degree programs in my state (New Hampshire) yielded this: http://www.snhu.edu/online-degrees/undergraduate-degrees/creative-writing-BA-online.asp Never underestimate the power of a Google search! It’s also helpful to do a search on a book-seller site like Amazon, so you can read the reviews to find out if a particular book is for you. For instance, a search on Amazon for “creative writing” turned up titles as varied as “The Making of a Story: A Norton Guide to Creative Writing” and “Write Good or Die.” What did their purchasers think about these books? And finally, you can educate yourself in another way, in the privacy of your own home. How do you do this? You read, read, read. Read widely in the genre in which you’d like to write, taking note of how those authors do everything, from writing a compelling opening sentence to punctuating dialogue. If you focus on the mechanics when reading instead of allowing yourself to float away on the story, you’ll begin to see patterns of how things work, which options work best. Read in other genres as well, for you never know when you’ll come across something that gets the wheels turning and teaches you a new trick. So, choose your education method and begin! I’m not sure what I originally planned for the “D” entry on my blog. But now it can only mean one thing: disaster. Not a major disaster, but one that gets on your last nerve and plucks it like a guitar string. I did a big grocery shopping on Thursday, in preparation for baking for Easter. Got everything I had on my list. So I was all set…or so I thought. Duh. Just when you dare to think everything is perfect, Fate knocks you down like a bowling pin. I made cookies Friday, and noted we were low on flour and sugar; so I put them on the start of a new grocery list. I made a cake this morning, and there were plenty of ingredients. I offered to go fetch some, but he declined. I think he needed a few minutes in the fresh air to remember it was only a bag of flour we needed, and put things in perspective. Happy Easter to those who celebrate it and a lovely weekend to all!